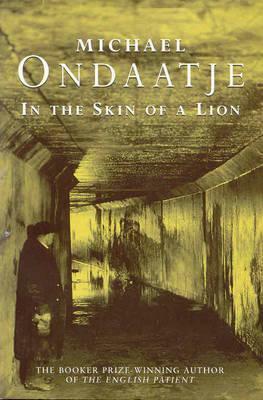 In the Skin of A Lion was my last read of 2015 and the ‘O’ book for my A-Z CanLit project. So, it’s about time I write about it. I think I’ve been putting off, because 1) I own it, so I can, and 2) I don’t feel like I’m qualified to talk (coherently and intelligently) about his books. Beautifully written, which didn’t surprise me. He turns the page backwards. Once more there is the image of them struggling and tickling Alice until she releases her grip on her shirt and it comes off with a flourish, and Hana jumps up, waving it like a rebel’s flag in the small green-painted room. All these fragments of memory… so we can retreat from the grand story and stumble accidentally upon a luxury, one of those underground pools where we can sit still. Those moments, those few pages in a book we go back and forth over. 2. But I was surprised by how readable it was. I was worried that it would be a hard read, and it really wasn’t. 4. The sense of place is incredible in this book. I can only assume it would be more so as a Torontonian. I have only been to Toronto a handful of times, but even I could picture what it must have been like in the 1920s and 30s, as the city was being built. 5. It is also a powerful story of the lives of immigrants during that period of time. Day after day, most of them went to their low-paying, long-hours, high-risk jobs; the ones that helped to make Toronto the city it is now. What the dyers wanted, standing there together, the representatives from separate nations, was a cigarette. To stand during the five-minute break dressed in green talking to a man in yellow, and smoke. To take in the fresh energy of smoke and swallow it deep into their lungs, roll it around and breathe it up so it would remove with luck the acrid texture already deep within them, stuck within every corner of their flesh. A cigarette, a star beam through their flesh, would have been enough to purify them. 6. The history and sense of place were the best parts of the novel. I sometimes found the story itself a little confusing. It goes from one storyline to another, and at first there does not seem to be any connection. But, I refer you to the quote at the top of my post – very apt here. I also found the love story confusing, and felt like the protagonist himself was a little confused about who it was he loved until closer to the end (when it was too late). But maybe that was intentional. I actually enjoyed the secondary storylines more; Nicholas and the nun, Caravaggio’s escape from the Kingston Penitentiary, Patrick’s heroic climb up the water treatment tunnel. 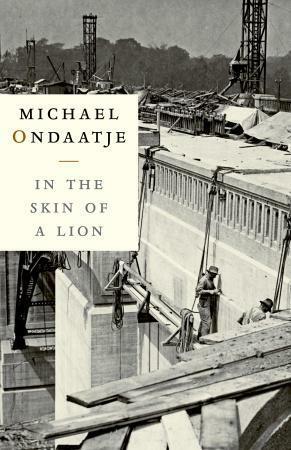 What’s your favourite Michael Ondaatje book? I think I read this more than a dozen years ago and I still have the most vivid collection of images and memories in my mind. One of my favourite books of all time. I’m glad to hear it stuck with you! I’m hoping it will do the same for me. I am amazed that Canada can produce so many world class writers. It reminds me of another small populated country, Ireland. Robertson Davies, Alastair Macleod, Alice Munro, Margaret Atwood, and Michael Ondaatje. There must be something in the water up there. The only Ondaatje book I have read is “The English Patient” and I loved it. So much better than the movie. But I have read excerpts from his other writings. I actually had the good fortune to see him at Rollins College in Winter Park, Florida. I have on my shelf another of his books, The Cat’s Table, which you are now encouraging me to read. My final comment is this. I would give my left arm to write as beautifully as he does. He is an amazing writer. Thank you for your review. We really do have some great writers up here, don’t we? Thanks for pointing it out! Maybe it’s the long winters keeping us inside with our thoughts for days at a time. 🙂 But, really , there are beautiful writers everywhere. I haven’t read The English Patient, because of the fact that I saw the movie and I don’t like to know what happens. But maybe I will read it anyway, since I have it on my shelf. I also have The Cat’s Table – you should read yours and tell me what you think! I love the quotes you’ve pulled out – he really is a beautiful writer. I’ve not read any Ondaatje in years, you’ve inspired me to pick him up again! I’m glad you’ve been inspired! Which one are you thinking of reading next? I was recommended Anil’s Ghost – have you read it? No, but I do own it. Maybe soon! If you read it first, let me know what you think! That’s a great review Naomi, I don’t recall hearing about this book, but you make it sound intriguing. I read The English Patient many years ago and also Anil’s Ghost, I’m always interested to see what he is writing. Thank you, Claire! I have Anil’s Ghost on my shelf, and almost read it instead, but decided I wanted to read the one they used for the Bookmark. Like many others, I read The English Patient many years ago (before the Anthony Minghella film adaptation came out), and I loved it too. His prose is wonderful, isn’t it? I do like the quotes you’ve included here. Another of his books is sitting on my wishlist, Coming Through Slaughter – a novel based on the life of the jazz cornetist, Buddy Bolden. Have you read that one? I haven’t read that one, and I don’t own it either. I do own several more of Ondaatje’s books, but that isn’t one of them. I agree, it would be fun to read all the Bookmarked books! It was years ago that I read In the Skin of a Lion, and you’ve inspired me to reread it. Oh, you should re-read it, Sarah! The whole time I was reading it, I was thinking that it would be even better the second time (partly because of some of the story-jumping that he does – this is a good example of a book that might be even better the second time through). I should’ve focused more on the sense of place in my response. It really was incredibly beautiful! I guess Ondaatje really can write place. I just went and read your review of the book, and I like what you say about his writing being like a deep, soothing voice. Good comparison! 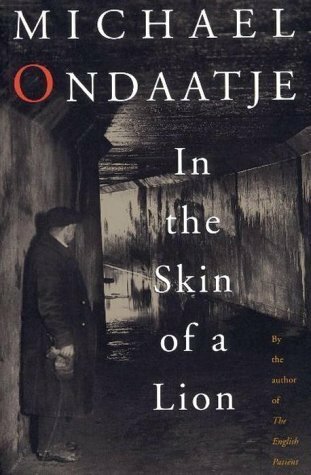 Ondaatje is one of those writers that I feel ambivalent about. But I have only read two of his books, The English Patient and The Cat’s Table. I can see that. As I was reading I was thinking that it was his writing that was so beautiful more so than the storyline. Also, in this case, the sense of place and time. But, I couldn’t say for the 2 you read, because I haven’t read them. I loved the movie The English Patient, but I seem to remember being a little disappointed by the book. The Cat’s Table was pretty good. I have a review somewhere on my blog. I think I remember seeing it! I definitely want to read this now. Thanks Naomi! Also, Project Bookmark is AWESOME. I think Kirtles loved In the Skin of a Lion. I myself also tend to like fragmented stories, or circular ones, as long as the authors don’t go overboard in how confusing they make their world (being unclear for the sake of being unclear). 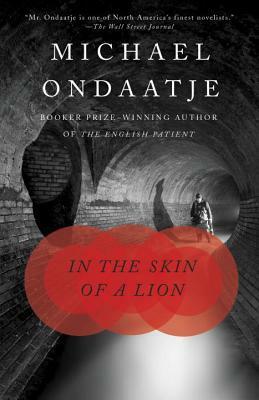 I’m not sure why I’ve always been put off by Ondaatje…I read the English Patient and it was good…perhaps it was all the hype that surrounded that movie that turned me off his books in general, which is ridiculous and unfair of me. While I completely understand feeling intimidated to do justice to a particular book (I can’t write about Station Eleven yet, because I’m not sure my words could ever really encapsulate all that book meant to me), you are a great reviewer and I think you should feel qualified to write about any book! I agree – we need to keep spreading it out! Nova Scotia got our first one in September. Are there any in Alberta yet? I can’t remember. None in Alberta yet, and I think only one in BC. You and Kirt could make that a project – find a good passage for an Alberta Bookmark! Either this one or The Cat’s Table would probably be my favourite, the former for all the reasons you’ve cited and because it was the first of his books which I read, the latter because I love the story-within-a-story feel to it. But I really enjoyed Divisidero and Running in the Family, which I read last year. I’ve been halfheartedly reading the Project Bookmark books and have read about half, I think; I have a list of them in my notebook (can’t recall if I have posted it on BIP yet) and read Jeff Latosik’s book of poetry last year from the list. There are a LOT of Ontario markers but it seems like they are trying to include a wider variety of provinces in recent years, which is just great! Do you have any favourites from the ones you’ve read? I found In the Skin of A Lion to be such a fitting choice – have you found the others to be, as well? Sometimes the books that most strike me as having an intense sense of place to them don’t have a specific location that one could mark with a plaque, whereas the Viaduct does seem just perfect for the Ondaatje novel, doesn’t it. I love everything by Carol Shields and Bronwen Wallace (MustReadEverything authors for me) and I loved Jade Peony and Garbo Laughs too. 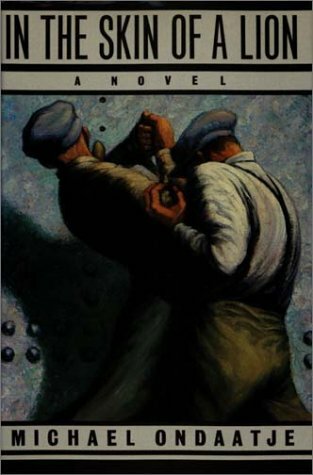 I was pleased to see Alistair MacLeod’s novel included recently, but all that I have read of his are the stories – I figure you must have read No Great Mischief for your AC project? I read No Great Mischief before I started my blog, but I haven’t read his stories which I hear are wonderful. I even had one from the library a few months ago, but sent it back unread. Silly. It wouldn’t have taken long to read. But I know where it is. Lawrence Hill’s novel “maybe soon hopefully”? Ha. Oh, and I think you were looking for a reason to read Any Known Blood, right? It’s the latest in the bookmarks! I saw that! And, it just made me mad that I haven’t read it yet. Grr. I have always wanted to read this book but never picked it up. Thanks for the reminder. The Cat’s Table is my fav but I’ve only read it and The English Patient. This will be next, as I own it. Lovely quotes you pulled here. I own The Cat’s Table, so good to hear! I’m surprised that I don’t write list-format review more often! They really can be a nice, easy way to get my thoughts down. I’d not heard of this author, but he sounds like someone I should take note of. I really enjoy books with a strong sense of place and time, things that feel as though they capture the essence of an era. Michael Ondaatje is one of those authors that I’ve been meaning to read for a long time but have never gotten around to it. Your review has sold me, even knowing that the story may get confusing at times. Now that I live in Toronto, I feel like I must learn more about the history! Yes, being in Toronto, this one is perfect for you. At times, when I was reading it, I was wishing that I could see the places he was writing about. A bit easier for you! I already had this, as well as The English Patient and The Cat’s Table on my TBR list but have yet to read any of them! This should serve as a motivator! When you get to one of them, it’ll be nice to hear your thought on them! So happy you filled out the O spot on your Canada A-Z list, yay! I have ‘Q’ and ‘R’ picked out already, and I’m hoping to get this finished this year! I loved the idea of Project Bookmark Canada! These kinds of challenges are wonderful and necessary for all book lovers. I see that Ondaatje was born in Sri-Lanka. That’s really interesting and fits with my goal to read books every year by authors whose roots span the world. I’ll go to the “O” section at the bookstore and look out for him the next time I go! I think his book Anil’s Ghost is set in Sri-Lanka, if that interests you further! I haven’t read that one yet, but I think you can count on his writing to be strong in any of his books. It certainly does! I think I’ll start with that one. Good find! I hope you enjoy it as much as The English Patient!